No time to develop a castle, temple or mansion for a game session? No floor plan for an inn handy when a bar brawl breaks out... again? 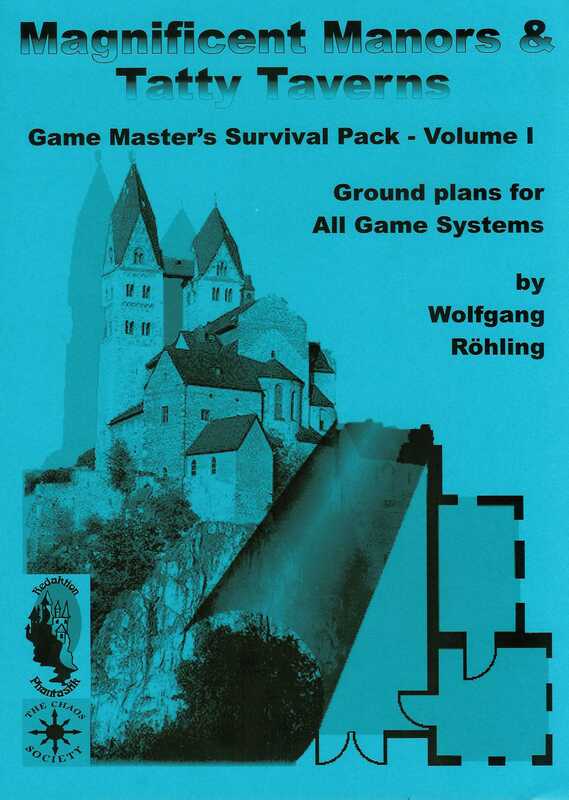 Then you need “Magnificent Manors & Tatty Taverns - Game Master´s Survival Pack Volume I “. The adventure ideas with a fantasy setting use names, creatures and places of the fantasy world of Glorantha (with permission of Greg Stafford), well known as the default setting of the role playing games “RuneQuest” and “HeroQuest”. Even so, the adventure ideas should be easily apaptable for most other fantasy settings. The Chaos Society is always interested in joined publications. Magnificent Manors & Tatty Tavers is such a case in which we joined forces with "Redaktion Phantastik", a german fan publisher, to publish a nice, and useful booklet in english language, and with gloranthan adventure ideas.